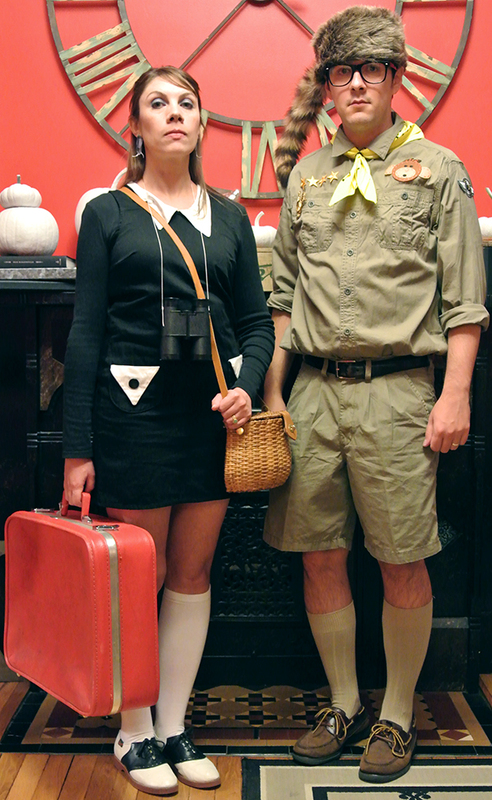 This year we decided to dress as Suzy and Sam from the movie Moonrise Kingdom. If you haven’t seen this movie, go rent it right now! 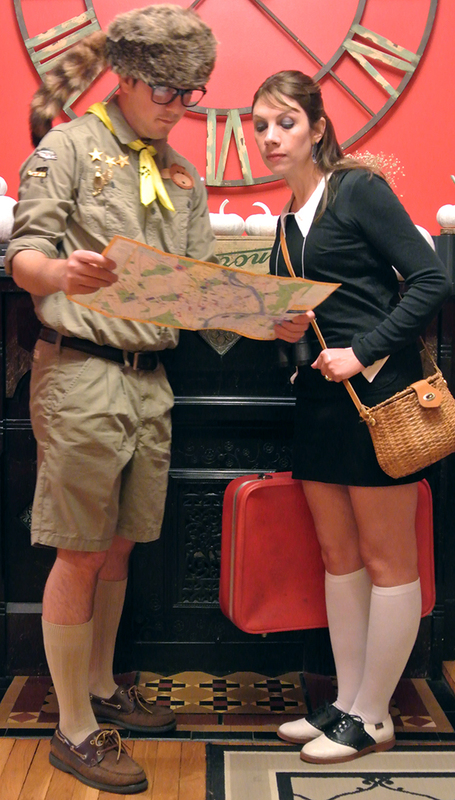 Mostly this costume decision was based on the fact that I didn’t have to buy a single thing. Not one single thing. Which pretty much means I just looked like myself. And I’m totally ok with that. My dress is from Red Velvet (with a long sleeve tee underneath). The saddle shoes I’ve had since high school. The suitcase was what my mom took when she went away to college in the ’60s. The wicker purse was also my mom’s that I borrowed many, many years ago and never gave back. The binoculars are from my childhood as an amateur bird watcher (I’m not even kidding here). I made the bug earrings. Andy’s outfit is mostly from Target, with the patches from Joann’s, and his own shoes. The glasses and hat are from Amazon. And I hope he wears them all the time because they’re the cutest things ever. We had a little party at our house on Saturday with a few of our friends, and it was sooo much fun! I love having friends over. We should do it more often. 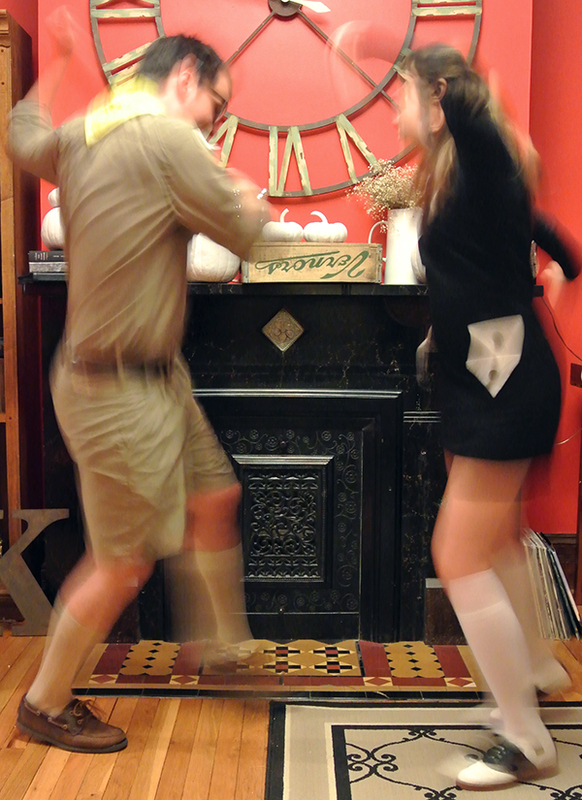 At the end of the night, when everyone left, Andy and I had an impromptu dance party of our own.